Departing Suffolk & Essex - Cameron Mackintosh's legendary production of Boublil and Schönberg’s LES MISÉRABLES is a global stage sensation. Cameron Mackintosh's legendary production of Boublil and Schönbergs LES MISÉRABLES is a global stage sensation. Set against the backdrop of 19th-century France, LES MISÉRABLES tells an enthralling story of broken dreams and unrequited love, passion, sacrifice and redemption  a timeless testament to the survival of the human spirit. Ex-convict Jean Valjean is hunted for decades by the ruthless policeman Javert after he breaks parole. 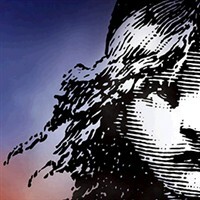 When Valjean agrees to care for factory worker Fantines young daughter, Cosette, their lives change forever. This is a matinee performance.